MAXIMIZE the flexibility and convenience of your solid waste management services. MINIMIZE the impact of your solid waste on the environment. This service offers you the ultimate in convenience while making a positive environmental impact. Simply put all your waste material in one bin and we'll process it at our new Integrated Processing and Transfer Facility, resulting in 45 per cent of your waste being diverted from landfill. Go green and start a recycling program! Collect paper, cardboard, plastic, metal and glass containers in a recycling bin. Recycling is then separated and processed at the City's Materials Recovery Facility. Flexible, easy to understand service agreements. No long term contract, no unexpected fees or surcharges. High standards of service delivery. 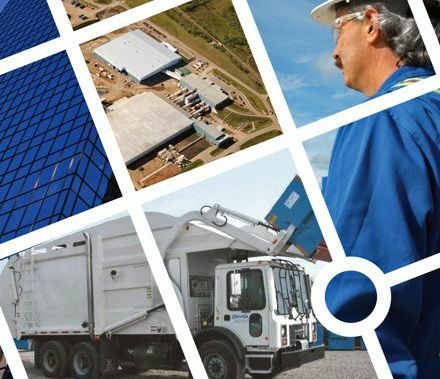 Cost effective services that minimize landfill and transportation costs. Call 780-496-5698 today and get the City of Edmonton Commercial Waste Management Services working for you. 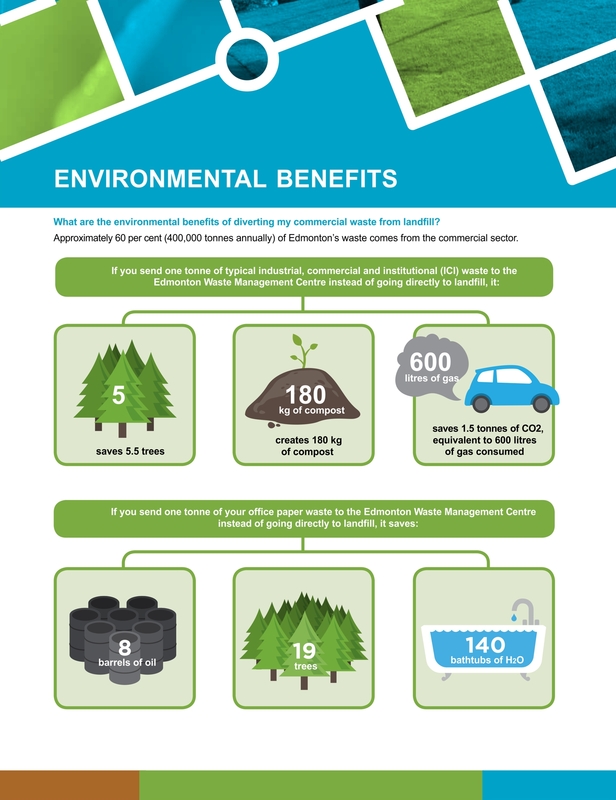 Approximately 60% (400,000 tonnes annually) of Edmonton's waste comes from the commercial sector.